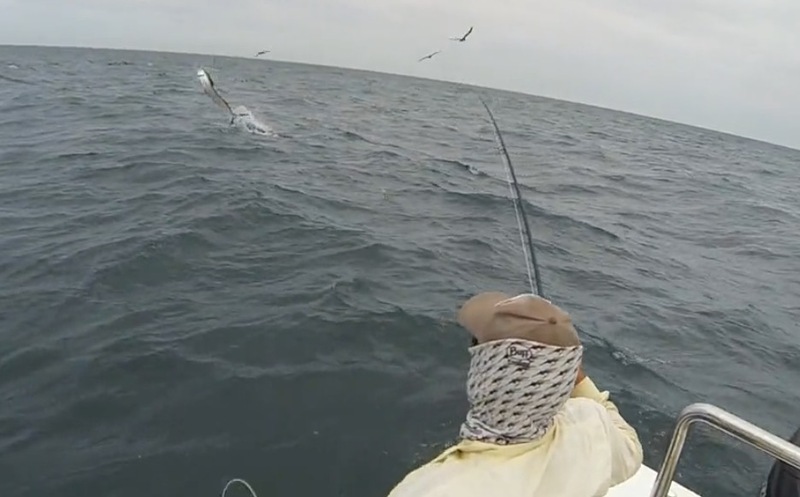 Jono Shales from Exmouth Fly Fishing is known for targeting free swimming black marlin on fly; in this clip he hooks up with a free swimming sailfish. For those who don’t know these fish well, they are successfully targeted by teasing, but seldom react to a single plug or fly fished from a relatively stationary position. Jono hooks and fights this fish on what seems to be a solo mission out at sea; with all odds against him, watch what happens…(Change the HD setting to 720p for the best resolution).